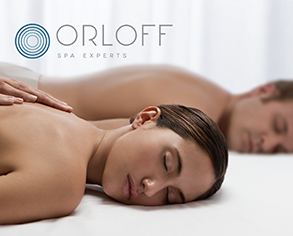 Under the consistent brand image of Orloff spa experts the spa offer is unified through the branding of cabin linens and staff uniforms, print materials and signature of the place. 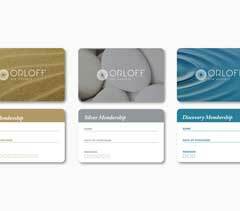 The Orloff spa marketing policy entails gift vouchers and membership cards that make the same high-end spa experience accessible in a variety of venues in Athens. 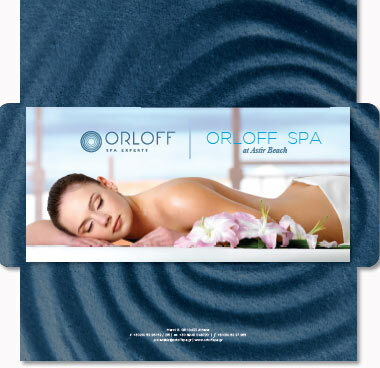 Gift Voucher: a must for a day spa. The ideal gift for loved ones. Valid 6 months from date of purchase and redeemable in Astir Beach or Life Gallery depending on the treatment. 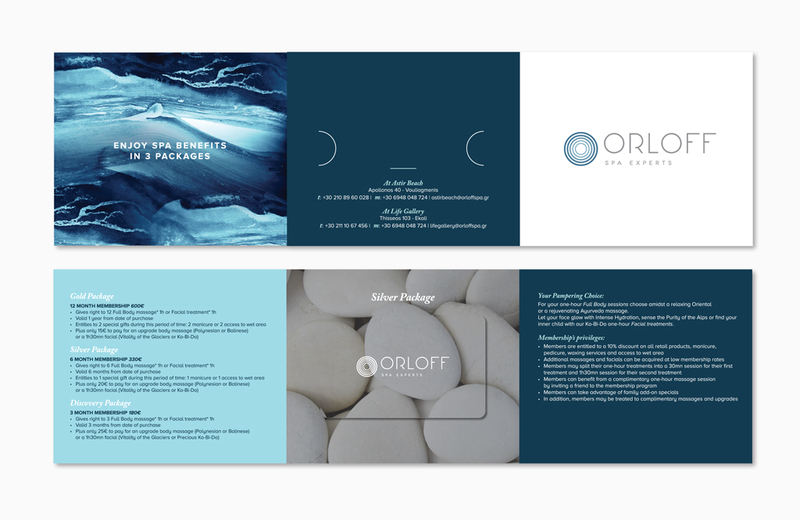 Nicely presented in a luxury envelope. 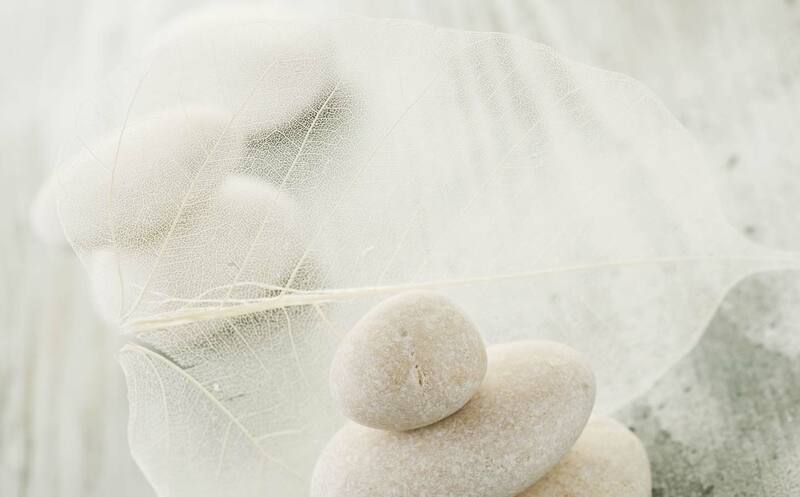 Membership Spa Programs: a loyalty program giving the opportunity to enjoy 1H facials or body massages at preferential prices. 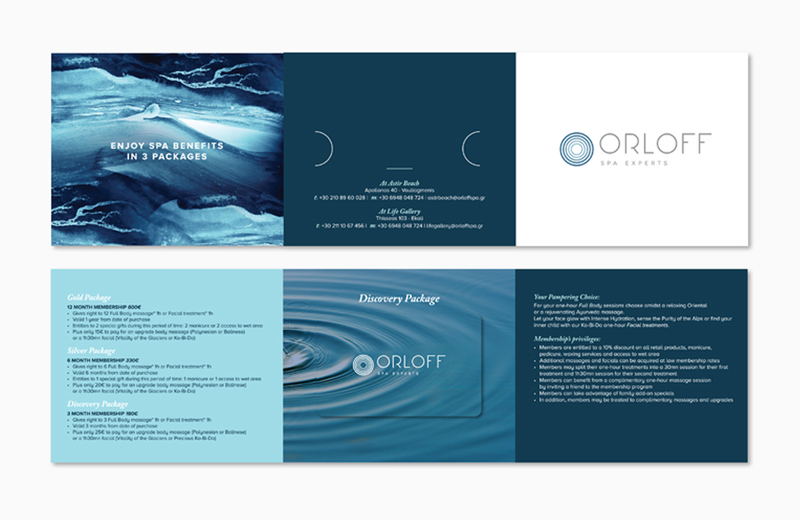 Validity 12 months (Gold card), 6 months (Silver card), 3 months (Discovery card). 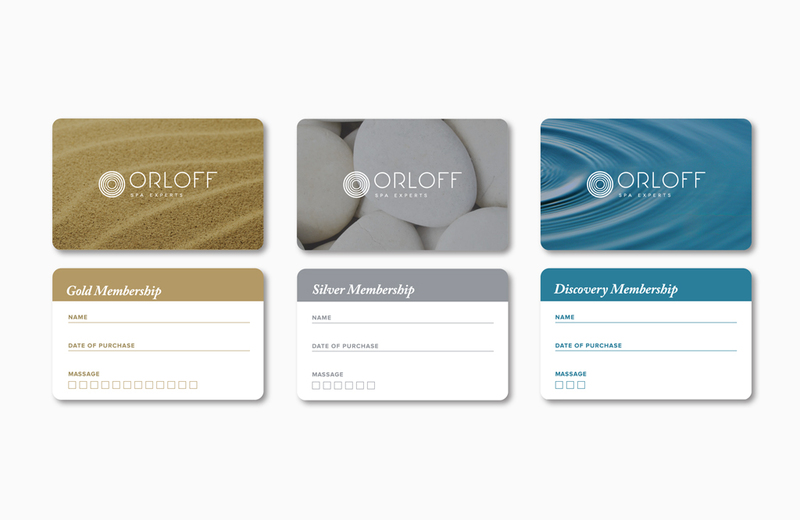 Plus extra gifts and privileges for members. Redeemability is valid on both venues, Astir Beach and Life Gallery).